Unwilling to simply hand Catherine over to a complete stranger, Sarah asks Malloy to investigate. But when he goes to interview the woman at her tenement in Chelsea, he finds she has been murdered. Though her death leaves Sarah’s claim to Catherine unchallenged, her sense of justice compels her to work with Malloy to find the killer. Their search takes them from the marble mansions of the Upper West Side to the dilapidated dwellings of lower Manhattan and into the deepest and darkest secrets of Catherine’s past. 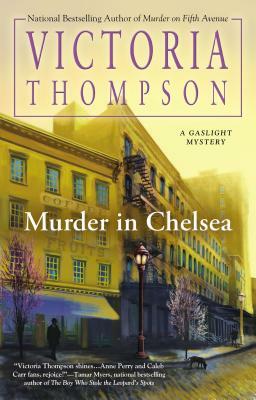 Victoria Thompson is the Edgar® Award–nominated author of the Gaslight Mysteries and numerous historical novels. She lives in Western Pennsylvania with her family.